Job crisis within the crisis! Dear friends and schoolmates, this is my first posting attempt ever so I would like to ask for your understanding and clemency! 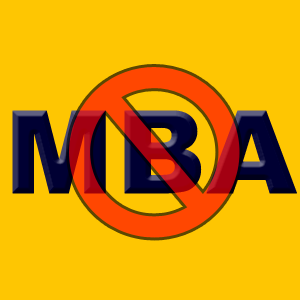 The reason why I decided to write this post is that I had enough of the pessimism that exists in our days and since I have a very optimistic incident that happened to me during the crisis I wanted to share with the rest of you. It is our honour to present to you the new website of our Association! Although the avant-garde functionality, for when it was designed, and the plethora of information it could handle, our old website was already outdated. It was time to change things. Career Fair 2012 - We need your comments! 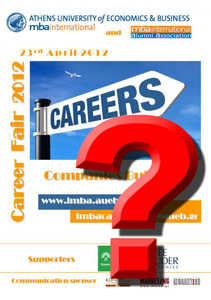 on Monday 23rd April 2012 the Career Fair 2012 will take place. I attended yesterday the conference “The antidote to the crisis: Development by Innovation and Entrepreneurship” in the National Hellenic Research Foundation, organized by AUEB's Department of Management Science & Technology.